How Mindfulness could help Recovery? Yesterday we looked a how low heart rate variability in alcoholics (active and in recovery) may influence self, emotion and stress regulation, and have a limited effect on impulsivity, and result in a “locked in” attention to alcohol-related cues, all of which have obvious consequences for relapse. Here we cite and use excerpts from an article by Eric Garland et al (1) which addresses the effects of mindfulness meditation on those with alcohol dependence. Although Garland suggest mindfulness could be an alternative to other treatment and recovery programs, I suggest that it can be used most effectively with other treatment and recovery programs, e.g. with step 11 of 12 step programs. I believe the consequence of emotion dysregulation over many years of addiction leaves behind numerous unprocessed emotions which have not been consigned to long term memory and as a result float around the mind as resentments, shame and guilt based memories etc. Emotion dysregulation has not allowed us to consigned them properly to the past (the so-called wreckage of the past) or long term memory and only an intensive process of emotional processing these e.g. via step 4 or 5 or via an alternative stock taking of our pasts seems to resolve this problem. I know from my previous experience of intensive meditation involving various 10 day intensive courses and meditating on a very regular basis, before realising I am an alcoholic, would always result in relapse via the distress of the past being resurgent in my mind. Some method of addressing all of these past behaviours, which invariably have hurt someone, need to be addressed and processed, even making amends to those hurt by our previous behaviours, before we profoundly ease the distress of the past and help facilitate a greater recovery and more effective meditation practice. “When attention is fixated on visual or olfactory alcohol cues, alcohol dependent individuals exhibit significant psychophysiological reactivity (Carter & Tiffany 1999). In turn, this alcohol cue-reactivity may lead to increased craving, which can trigger alcohol consumption as a means of reducing distress. Many persons recovering from alcohol use disorders attempt to suppress cravings, which, paradoxically, can serve to increase intrusive, automatic alcohol-related cognitions (Palfai, Monti, Colby, & Rohsenow 1997), dysphoria, and autonomic arousal (Wenzlaff & Wegner 2000). Indeed, among alcohol dependent persons, thought suppression is negatively correlated with vagally-mediated heart rate variability (Ingjaldsson, Laberg, & Thayer 2003), a putative index of emotion regulation and parasympathetic inhibition of stress reactions (Thayer & Lane 2000). As thoughts of drinking intensify and are coupled with psychobiological distress, the impulse to consume alcohol as a form of palliative coping may overcome depleted self-regulation strength (Muraven, Collins, & Nienhaus 2002; Muraven & Shmueli 2006) leading to relapse. 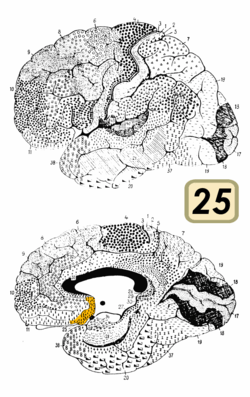 The attempt to avoid distress or allay its impact through compulsive alcohol consumption results in negative reinforcement conditioning that may perpetuate this cycle by further sensitizing the brain to future stressful encounters via allostatic dysregulation of neuroendocrine systems (Koob 2003). Components of this risk chain may be especially malleable to targeted behavioral therapies. One such intervention, mindfulness training, which originates from Buddhist traditions but has been co-opted by Western clinicians, has recently gained prominence in the psychological and medical literatures for its salutary effects on stress-related biobehavioral conditions (Baer & Krietemeyer 2006; Ludwig & Kabat-Zinn 2008). 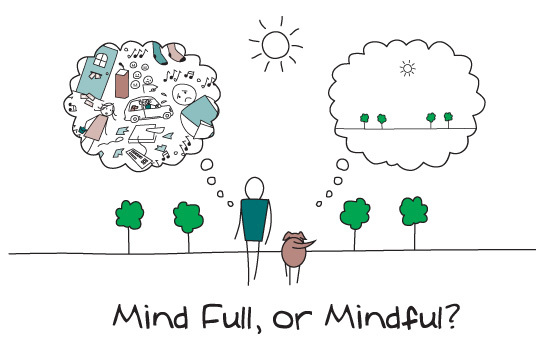 Mindfulness involves self-regulation of a metacognitive form of attention: a nonreactive, non-evaluative monitoring of moment-by-moment cognition, emotion, perception, and physiological state without fixation on thoughts of past or future (Garland 2007). A growing body of research suggests that mindfulness affects implicit cognition and attentional processes (e.g., Jha, Krompinger, & Baime 2007; Lutz, Slagter, Dunne, & Davidson 2008; Wenk-Sormaz 2005) as well as heart rate variability indices of parasympathetic regulation (Tang et al. 2009). Mindfulness treatments may enhance clinical outcomes in substance-abusing populations. Bowen et al. (2007) found that mindfulness training of incarcerated inmates reduced post-release substance use, substance-related problems, and psychiatric symptoms to a greater extent than standard chemical dependency services offered at the prison. Other pilot studies of mindfulness-based interventions with substance abusers have found significant reductions in distress, negative affect, stress-related biomarkers, and substance use (Marcus, Fine, & Kouzekanani 2001; Marcus et al. 2003;Zgierska et al. 2008). To that end, a randomized, controlled design was used to compare the therapeutic effects of a mindfulness-oriented recovery enhancement (MORE) intervention to those of an evidence-based alcohol dependence support group (ASG). We hypothesized that, relative to ASG, MORE would result in significantly greaterdecreases in perceived stress, impaired alcohol response inhibition, craving for alcohol, psychiatric symptoms, and thought suppression and significantly greater increases in mindfulness and in heart rate variability (HRV) recovery from stress-primed alcohol cues. Among recovering alcohol-dependent individuals, mindfulness training appears to be a potentially effective stress reduction technique. MORE reduced perceived stress to a greater extent than did ASG, which is noteworthy given that social support reduces stress reactivity and buffers deleterious effects of stressful life events (Christenfeld & Gerin 2000). The stress reduction effects of mindfulness training among nonclinical populations are well known in the literature (Grossman, Niemann, Schmidt, & Walach 2004), but it is notable that significant effects were obtained in a sample of clinically-disordered, alcohol-dependent adults with extensive trauma histories who may be more vulnerable to stress-precipitated relapse due to allostatic dysregulation of neural stress circuitry (Valdez & Koob 2004). Like stress, thought suppression significantly decreased over the course of ten weeks of mindfulness training. In turn, decreases in thought suppression among MORE participants were significantly correlated with decreases in impaired alcohol response inhibition, raising the possibility that participants who improved their ability to regulate drinking urges may have done so via reductions in thought suppression. In the context of alcohol dependence, thought suppression seems to enhance the conscious awareness of alcohol-related cognitions and affective reactions. MORE, with its emphasis on nonjudgmental, metacognitive awareness of present-moment experience, appeared to counter this deleterious cognitive strategy and therefore may have prevented post-suppression rebound effects from exacerbating negative affect and intrusive alcohol-related cognitions that can promote relapse. In sum, the unwitting attempts of recovering alcohol dependent persons to suppress appetitive cognitive-emotional reactions towards alcohol may obscure these responses from consciousness only to perpetuate and intensify them within the cognitive unconscious. In the domain of unconscious mental life, automatic processes run smoothly and efficiently uninhibited by volitional control (Kihlstrom 1987). Hence, by shunting appetitive reactions into the unconscious, the alcohol dependent individual may increase the very appetitive response towards alcohol he or she is trying to suppress and exacerbate psychophysiological reactivity to alcohol cues. Mindfulness training may serve to undo this process, making unconscious responses conscious. Thus, practice of mindfulness may promote the recovery of alcohol dependent persons through: a) deautomatization of alcohol use action schema, resulting in diminished attentional bias towards subliminal alcohol cues and increased craving as a result of disrupted automaticity; and b) decreased thought suppression resulting in increased awareness of alcohol urges over time, increased HRV recovery from alcohol cue-exposure, and improved ability to inhibit appetitive responses. Accordingly, mindfulness training may be a tractable means of promoting enduring behavior change. Although brief motivational interventions may be highly effective at impelling the desire towards sobriety, participants of such motivational enhancement therapies remain prone to eventual relapse; indeed, relapse is often a part of the recovery process. As such, interventions that consolidate short-term treatment gains into broader lifestyle change are of major significance to the addictions treatment field. During the gradual practice of mindfulness, one learns to work with negative emotions in a metacognitive context, resulting in nonreactivity to difficult mental contents and improved self-regulation in the face of stressors. The developmental process of cultivating and embedding mindfulness principles into all aspects of one’s life may solidify gains made in prior treatment and provide an effective, long-term approach to coping with stress-precipitated relapse. Equally mindfulness meditation may be used alongside other treatment regimes. For example, it can be used in a daily manner as part of step 11 in the 12 step program. It is also used as part of DBT, for example. I think that there are ideas out there, is so-called different treatment regimes, which can simply compliment each other. Whatever works, works. I personally meditate using both Christian and Buddhist meditation techniques. Sometimes appreciating the therapeutic strengths of different treatment philosophies and practice can augment one’s own main treatment and recovery program. 1. Garland, E. L., Gaylord, S. A., Boettiger, C. A., & Howard, M. O. (2010). Mindfulness training modifies cognitive, affective, and physiological mechanisms implicated in alcohol dependence: results of a randomized controlled pilot trial. Journal of psychoactive drugs, 42(2), 177-192. Recovery is a Journey from the Head to the Heart (and back)! So what does this low HRV mean for the recovering alcoholic? 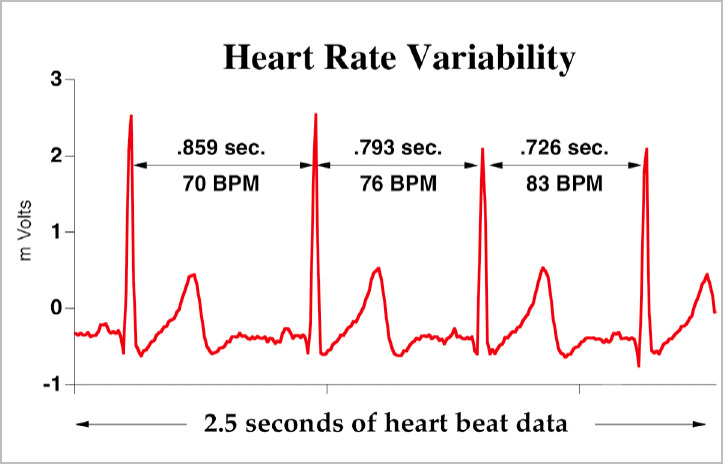 I have explained this to show that HRV is directly connected to areas of the the brain implicated in stress and emotion regulation. If, via recovery practices, we can still our beating heart, become serene as well as clean, it will have neuroplastic effects on our brain and the regulation of emotion and stress. Equally if we meditate and alter the functioning of areas implicated in this study such as areas of the medial PFC and cingulate gyrus we improve our control over our heart. Ultimately if we can learn to relieve the inherent distress at the heart of addiction we can recovery function of not only the heart but also of areas in the brain which interact with the heart in producing heart rate variability. So ultimately we need only to know how to quell a distressed heart via prayer, meditation, loving others. If we can do so, we improve our emotion and stress regulation. But do we need to do this if we have been in recovery long term? Let me give you an example of allostasis in action. In an allostatic system like addiction there is stress dysregulation coupled with reward dysfunction (I believe there is a pre-morbid allostasis in those addicts who have experienced abuse, trauma and insecure attachment also which means there is a stress and emotion dysregulation from an early age which leads to a heightened reward sensitivity which means we start to regulate negative emotions from an early age via impulsively using or consuming stuff we really really like, or seem to like more than healthy people, to make ourselves feel better). These adolescents at risk also have low HRV and the effects of alcohol have a pronounced effect on HRV. This sets the chain of addiction in action from the start for many addicts. So when we decide we want something this leads to a feeling of pathological wanting and then needing simply because we have altered reward systems as they are linked to our “out of kilter” stress systems . Buying something in the store, if thwarted, soon becomes a life and death like struggle. Ever had that feeling? I remember a 75 year old recovering person with 30 odd years of recovery sharing in a meeting how she went to a store to get something, to find that something wasn’t there, so she was instructed to drive somewhere else to get that something, and when she got there they didn’t have it, so she had an argument with them and then with her husband in the car, then off to another store which did not have the something either, then back home on the internet, found a online store that stocked the something and ordered it. It arrived the next day because she paid a lot of money for it to arrive the very next day! When it arrived she found that she had not only completely forgot about ordering the something but did not really want the something even. So off she sloped to apologise to her husband for being so emotionally abusive and immature over the something on her way to the Post Office to post back the something that she never really wanted in the first place!!? This is also my head still, even after a few years of recovery. It is not as bad it was, by a long shot! It does, however, get distressed, I become impulsive and want, need, that thing now!!! On occasion. So I think this is one area recovery people always need to be aware of. Wanting stuff. We lose our emotional sobriety. When we have either got it, regardless of the the human or emotional cost, we often find we do not want it or never really wanted it…that much…. Not compared to the cost of getting it!? How do we solve this problem? We let go, we calm down, talk to someone, express our feelings, try to establish a transient homeostasis, let our stress systems subside and start again, trying to managing these chaotic brain systems. If you are like that you have a low HRV and a stress/emotion regulation problem and probably always will. But if can be manged and it can vastly improve. Then one day we learn that it is in living with our hearts forefront to our decisions and not our heads that brings lasting everyday happiness. That is why in recovery we travel from our at times over zealous heads to our hearts. The wisdom and direction and basis of our decision making lives their not in our heads. It is not to say we do not use these wondrous instruments but we incorporate the help of our hearts in activating the reasoning of the brain. Solve the heart issue, and the rest comes. The goal of this meta-analysis was to identify areas that were consistently associated with HRV. In the overall analyses three regions show significant activations One region in the medial PFC (MPFC) is the right pregenual cingulate (BA 24/32). Another MPFC region is the right subgenual cingulate (BA 25). 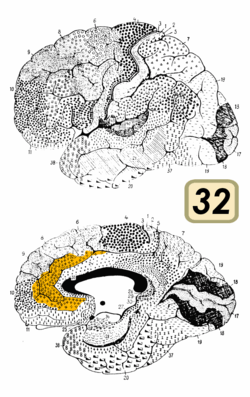 The third region is the left sublenticular extended amygdala/ventral striatum (SLEA). This region extends into the basolateral amygdalar complex, and also covers the superior amygdala (central nucleus) and extends into the ventral striatum. More generally, the pgACC/rmPFC correlation with HRV in our meta-analysis suggests thatthis region is part, and the most reliably activated part in studies to date, of a descending “visceromotor” system that controls the autonomic nervous system and possibly other responses (neuroendocrine) based on emotional context.